Purple has always been the color of royalty. 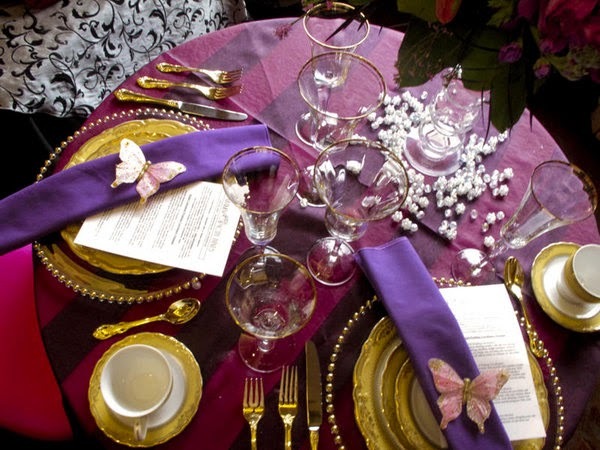 What better way to create a regal atmosphere for your wedding than by using purple accents? It is a rich and powerful color that can add a lot to the look of your ceremony and reception. 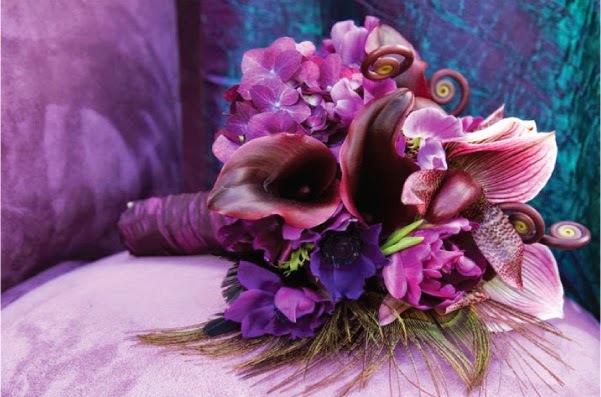 There are many beautiful shades of purple, ranging from the lilac and lavender of springtime, to the bright magenta of summer, to the rich and royal deep purple that brides love all year round. 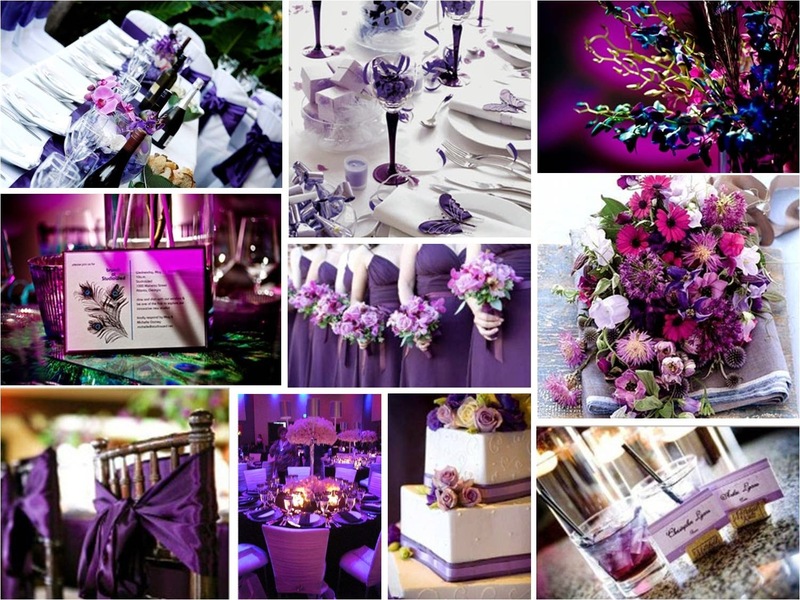 It is this very intense true purple that will feel the most opulent and royal for a wedding color scheme. You don't have to stick with one shade of purple, though; it can be gorgeous to layer in some lighter tones with the dark for a very lush design scheme. To really play up the regal feeling of purple, you can use it in combination with metallic gold accents. For example, picture a tablescape featuring rich purple dupioni linens with tall floral displays in various shades of light and dark purple. To really punch it up, layer in gold charger plates and white china with gold borders. This will create a very dramatic and royal looking wedding table, and the metallic gold will also help to keep the purple from being overwhelming. 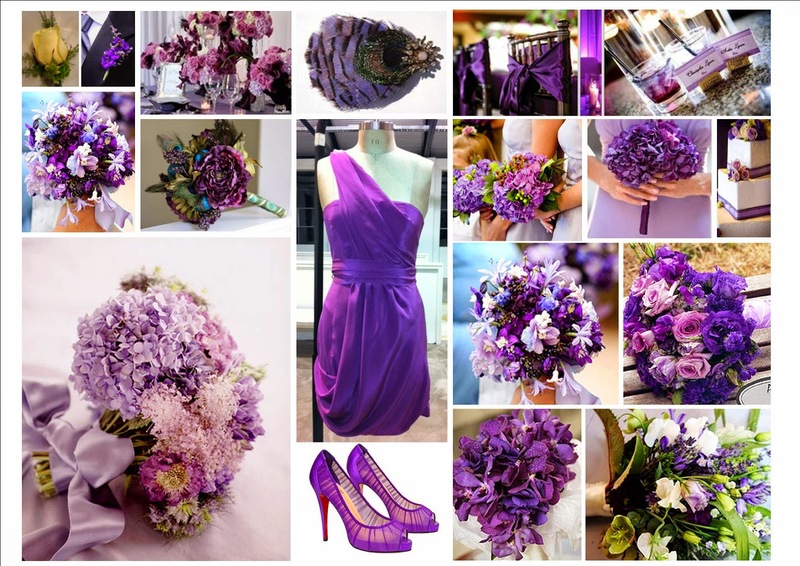 Speaking of flowers, the bride will certainly want to carry a bouquet of purple flowers, and there are many gorgeous ones from which to choose. Roses come in quite a few beautiful shades of purple, from a silvery lavender to a deep rich true purple. Lisyanthus is another flower that you can get in a wonderful purple color. Tulips can be found in a purple so deep that it is almost black, for a very sophisticated bouquet. 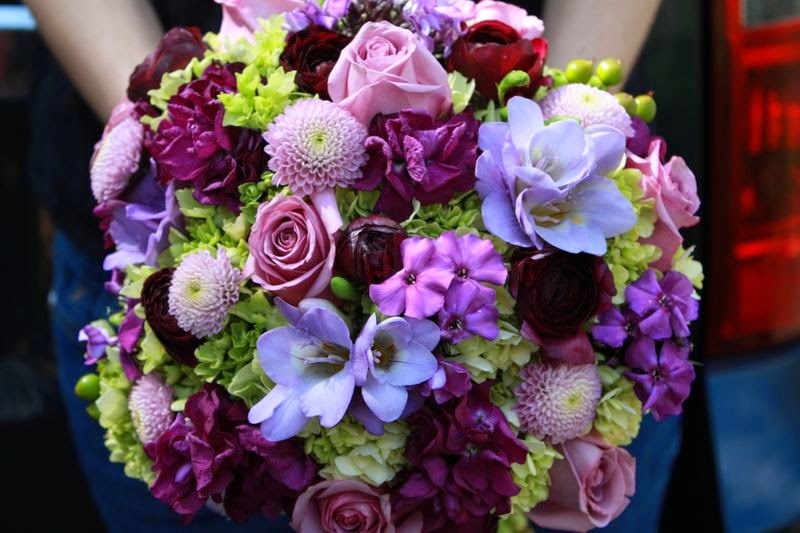 Consider mixing in other shades of purple, like magenta orchids to add dimension to your bouquet. Of course you can find many wonderful bridesmaid dresses in purple, but there is no reason to stop there. Even if she is wearing a traditional white gown, the bride can still put a little purple into her wedding day look as well. One of the prettiest ways to do this is with purple bridal jewelry sets. You can have sets of bridal jewelry created for the bride and her attendants that feature Swarovski crystals in the rich color of amethysts. The purple crystals look beautiful used in combination with clear crystals or white pearls. One of the most unique ways to use color in your wedding is with lighting. 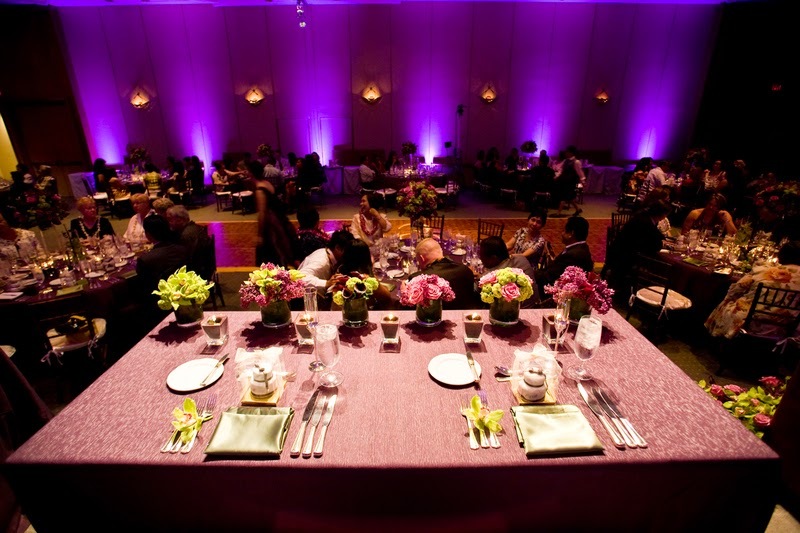 You don't necessarily want to turn the entire reception venue purple, but a few well placed accents would be terrific. 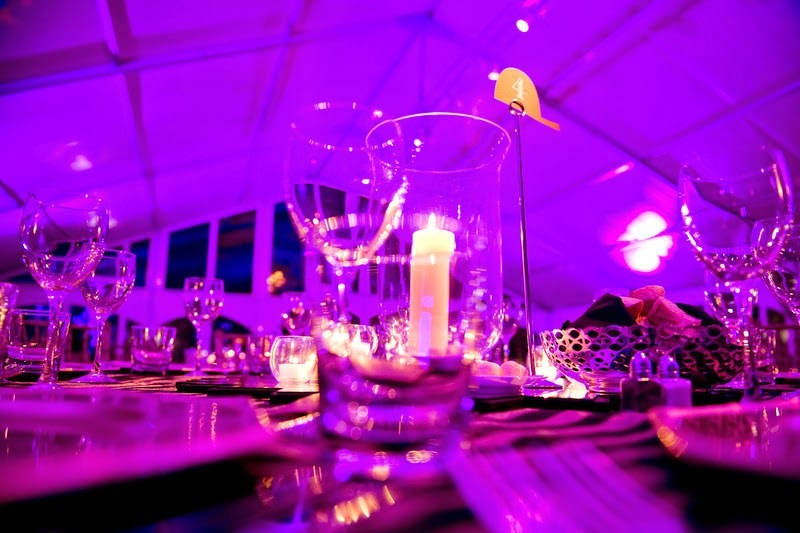 Use a few purple spotlights to bathe the dance floor in a regal glow. Or really make an impression by having your new monogram (his & hers) projected onto a wall in a rich purple light. When you have chosen a great color like purple for your wedding design, you will soon find that it is easy to incorporate it into all of the little details that give a wedding its character. 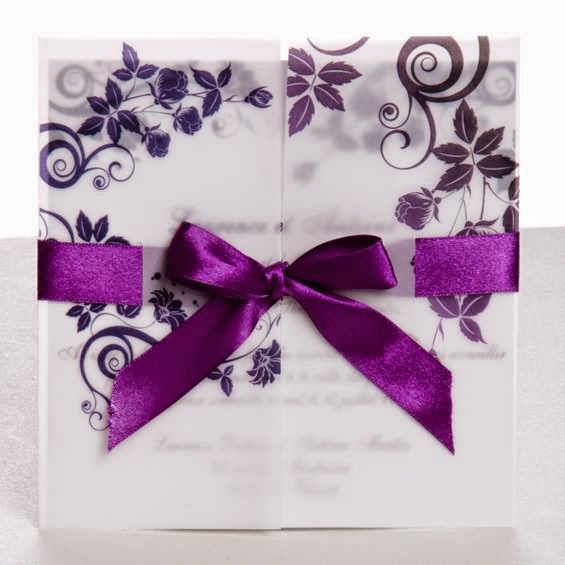 From the envelope lining of the invitations to the ribbons on the favors, you can add touches of purple throughout your entire event. 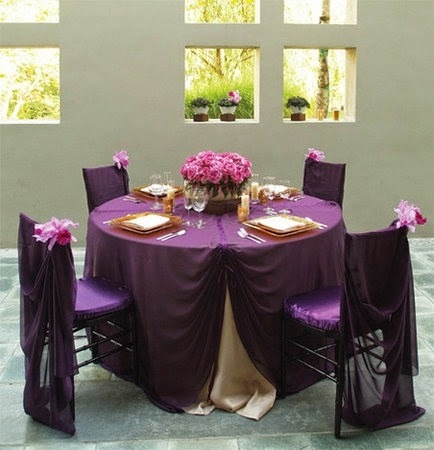 The rich purple accents will tie your wedding together and give it that fabulous royal ambiance.